A live, bacterial suspension that contains a minimum of 255 billion active bacteria per gallon that dissolve grease, fats, proteins, and carbohydrates. It is ideal for treating sink drains, wash basins, shower stalls, and refuse containers. 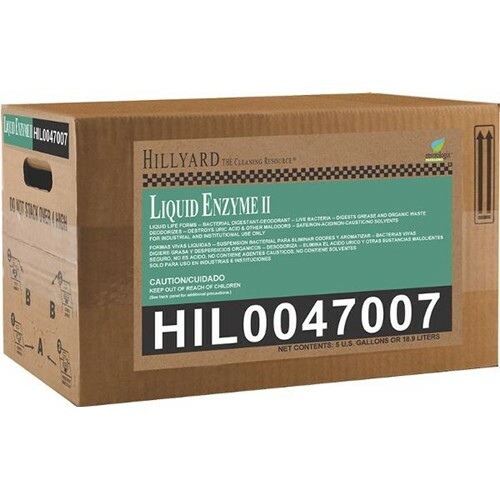 Since Liquid Enzyme II digests grease and waste natures way, there is no environmental harm. The bacteria simply die when their job is done and convert into carbon dioxide or water.